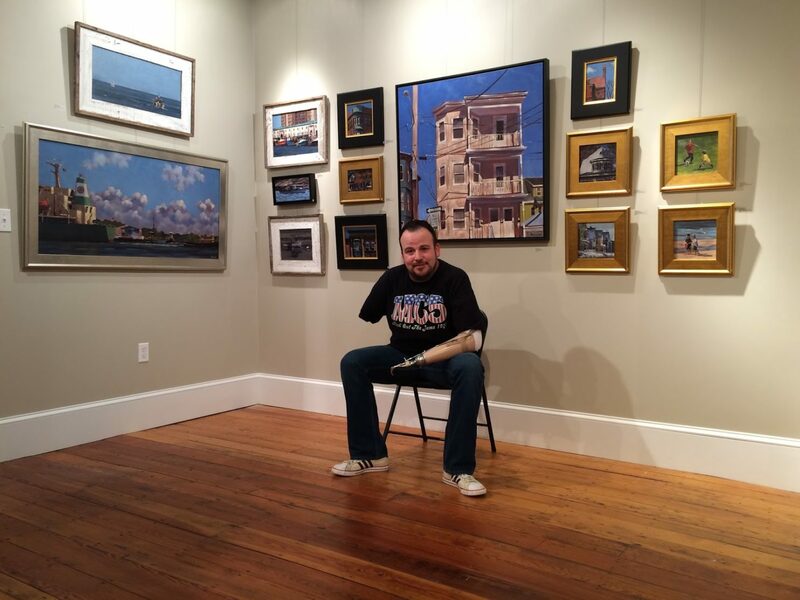 I am an artist and a severely injured Iraq War Veteran. I lost parts of both my arms in 2003 while serving in Iraq as a helicopter mechanic. I started painting as a form of occupational therapy soon after. In 2005 I made a decision to pursue a career as a fine artist. Over the years I’ve managed to gain a foothold in that direction. I’ve experienced both highs and lows in my endeavor. I refuse to let my disability stop me. I am drawn to urban landscapes and ‘blue – collar’ scenes. I am influenced by many past and contemporary artists including Edward Hopper, George Luks, John Sloan, Robert Henri, George Bellows, John Marin, John Fulton Folinsbee, Stephen Magsig, John Traynor, Ray Ellis, and too many more to mention. To see more and learn what Pete is up to, visit his blog.